Homeopathy aims to support the whole person, a holistic approach taking into account lifestyle, diet, personality as important factors as well as the presenting complaint. Homeopathy aims to strengthen the person's ability to direct the body's own healing system to help resolve possible underlying susceptibility to health complaints. The system of homeopathic medicine is designed to support the whole person and can therefore be considered in almost any situation where a person's health is depleted. It can be useful for minor ailments, from cuts and bruises to coughs and colds. ​There are no recorded side effects from homeopathy. Effects of the medicine can be immediate or improvement experienced slowly. This can depend on age, type of complaint, medical history, family history: many factors have to be considered in deciding on the best homeopathic medicine for the person. Despite the differences in approach, homeopathy and conventional treatments can work very well alongside each other. 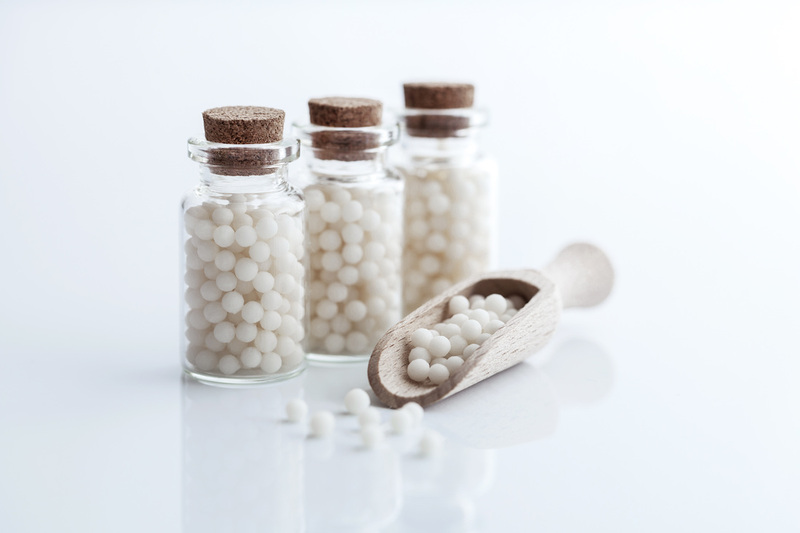 Homeopathy is a traditionally used medicine which can be used in conjunction with other medicines, to support and assist with many complaints. Consulting with a medical doctor and a homeopath can allow you to receive the best of both worlds. Homeopathy generally doesn't interfere with conventional medicine and should be seen as a complementary treatment, not as an alternative. ​Homeopathy cannot replace all forms of healthcare, but it can be used in a wide range of conditions. For any ongoing chronic condition, it is important to be assessed or examined by your healthcare professional or specialist. It is important always to seek medical advice in emergencies. Unlike some conventional drugs, homeopathic medicines are non-addictive and have no dangerous side effects. Homeopathic management is suitable for babies, children, pregnant as well as breastfeeding women, under the supervision of a registered homeopath. Homeopathic medicines are made from a very small amount of the active ingredient. Two hundred years of practice, research and trials have shown that this gentle system of medicine can be helpful with many complaints. Homeopathic medicines are mainly plants, animals and minerals, stored in water and alcohol. They are manufactured by repeatedly diluting and succussing (shaking) a preparation of the original substance. The medicine is then added to lactose tablets or pilules.There are a variety of potencies, e.g. 6C which means that the substance has undergone 6 stages of a series of dilutions and succussions. The more stages of dilution and succussions the substance has gone through the more potent the medicine. All medicines vary in the duration of action dependent on many factors specific to the individual and the illness.